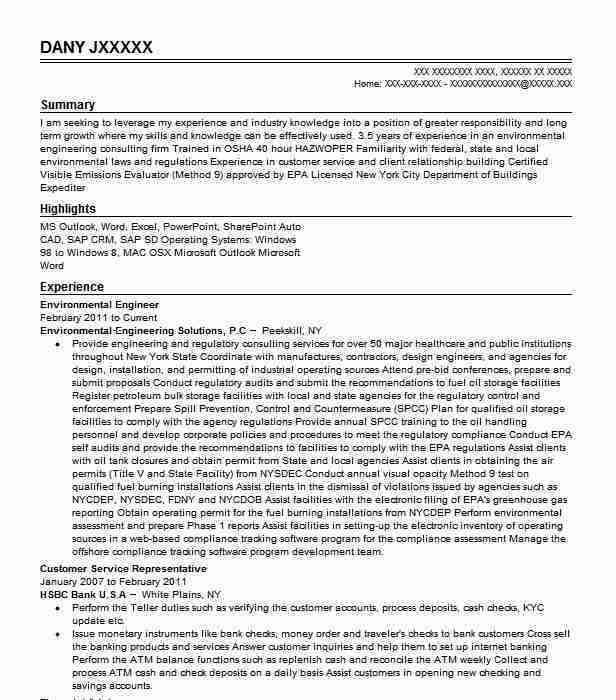 Environmental Engineer with 10 years of experience creating and refining processes in relation to water and air pollution control waste disposal recycling and public health issues. 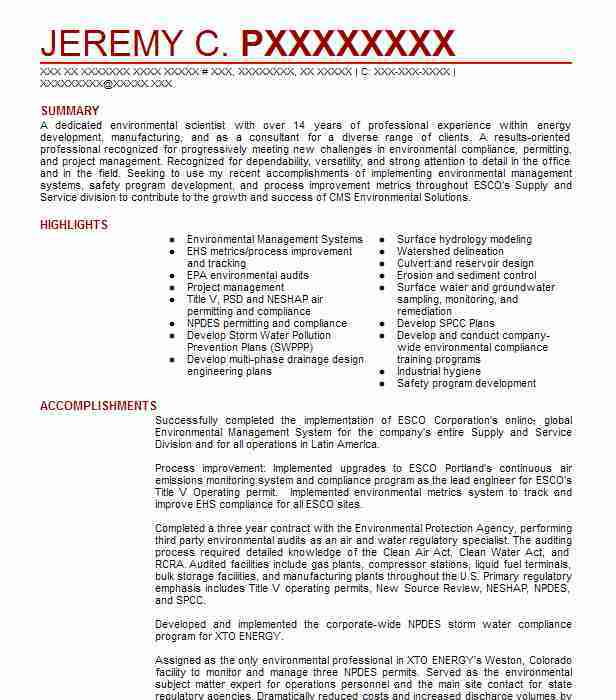 Recognized talent for facilitating effective collaboration between environmental scientists planners hazardous waste technicians engineers and business directors. 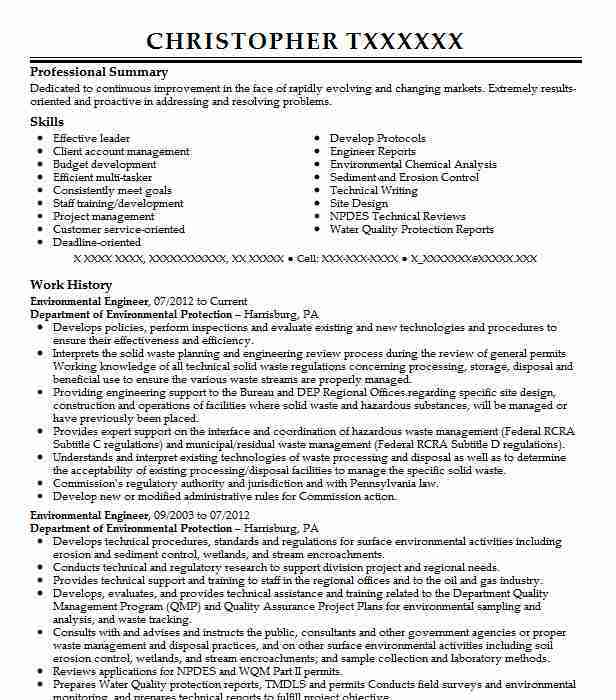 Adept at providing technical-level support for environmental remediation and litigation projects including remediation system design and determination of regulatory applicability. 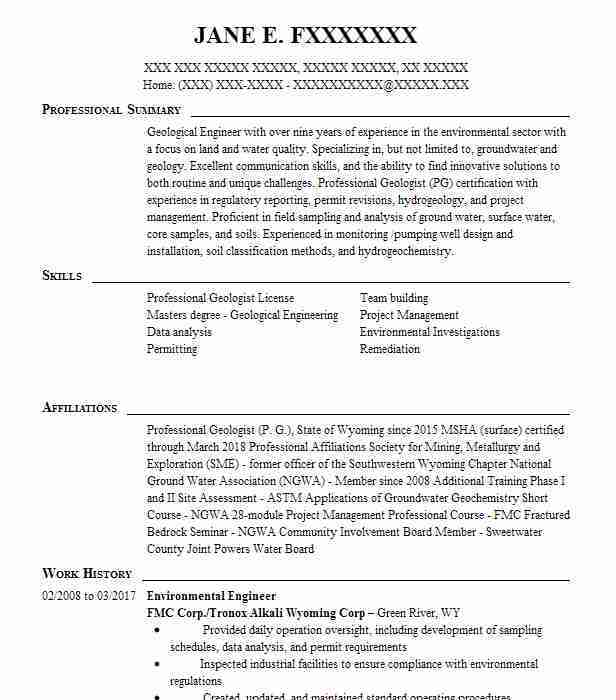 There are plenty of opportunities to land a Environmental Engineer job position, but it won’t just be handed to you. 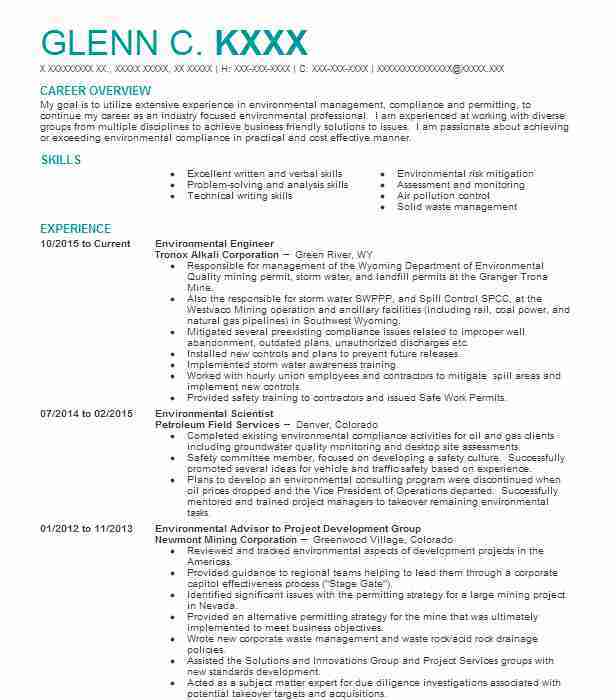 Crafting a Environmental Engineer resume that catches the attention of hiring managers is paramount to getting the job, and LiveCareer is here to help you stand out from the competition.